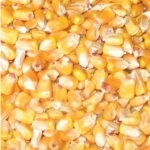 Stop by Crown Feed & Supply and pick up some Shelled Corn today! Starch is definitely important during the Winter months. Help your wildlife as the cold weather comes in! The Little Giant® 10-Frame Complete Beehive is pre-assembled for easy set up and use. 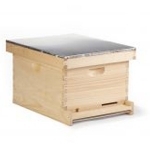 The Complete Beehive includes: telescoping outer cover, vented inner cover, 10-frame 9.5 inch deep hive body, 9.125 inch wooden frames with wax-coated black plastic foundation, screened bottom board, mite grid and entrance reducer. 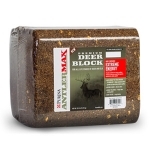 Record Rack® Super Premium Deer Block is a nutritional supplement for deer in their native habitat. 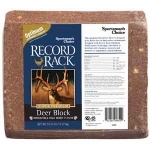 Designed with Record Rack® formula’s exclusive Optimum Performance Technology™, this mineral block is fortified with vitamins, minerals and extra protein for superior palatability. Highly palatable pressed block naturally attracts deer. Fortified with corn and molasses. High protein and energy supplement. Provides minerals and vitamins necessary for antler development, growth, and reproduction. 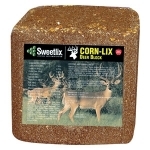 Ideal supplement in maintaining key herds in the peak nutritional state necessary for TROPHY deer.